Rod Paavola, (1939-1995) was born in Hancock, played defense for the 1960 USA Gold Medal winning Olympic Hockey Team at the age of 20. The U.S. squad in 1960 was made up mostly of former college players who held full-time jobs. 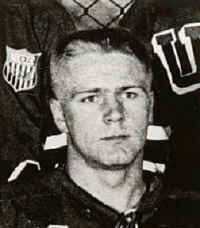 They were coached by Jack Riley, a player on the 1948 U.S. team and longtime head coach at West Point. 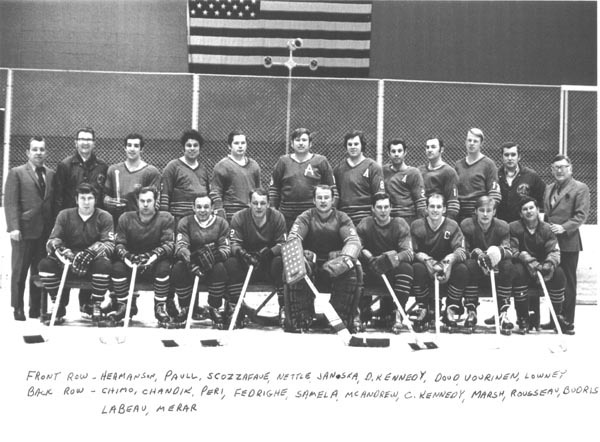 The U.S. advanced through the preliminary round, rallying to beat Czechoslovakia 7-5 and beating Australia 12-1, then knocked off Sweden and Germany in the first two games of the championship round-robin. Then they had to face Canada and the U.S.S.R.. They beat the Canadians with a shocking 2-1 upset. A crowd estimated at 10,000 jammed into Squaw Valley's Blythe Arena, which was open along one side and held only 8,500, to watch their game against the Russians, which they won 3-2; the first time in history a U.S. team had beaten a Soviet team. After these upsets, they had to play the Czechs at 8:00 am the very next morning after the Soviet game. They beat the Czechs 9-4 giving the US team a 7-0-0 sweep during the tournament, winning the United States' first Olympic hockey Gold Medal. The games were televised nationally which was a rarity for any hockey game in 1960. After the games, the US Olympic team members went back to their lives of being fathers, firemen, coaches, businessmen and military service. Of this team, goalie Jack McCartan and Tommy Williams were the only players to go on to play in the NHL. At that time, the six-team NHL was made up almost exclusively of Canadian-born players. This was the first American team to win Olympic Gold in ice hockey; the US had won five Silvers and a Bronze, but this was the first Gold Medal win by a US Hockey Team. 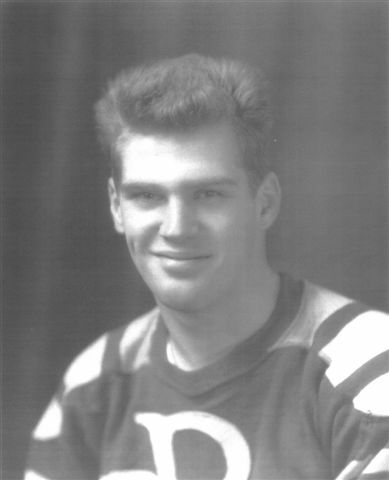 Paavola also had played on the 1959 National team that played in Prague, Czechoslovakia at the World Championships and for the Muskegon Zephyrs 1961-63. 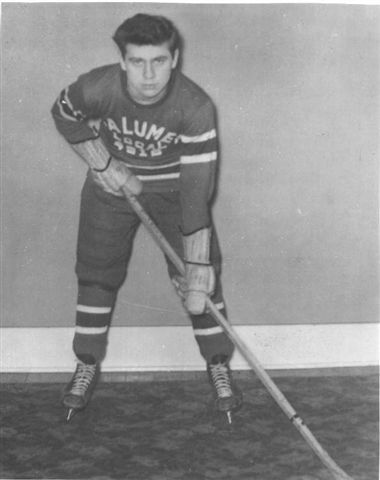 He played for, and coached, the Portage Lake Pioneers; Paavola coached the Portage Lake team to two League Championships, two State Championships and two Gibson Cup triumphs during the five years he was with the team. An annual two-game, total goals tournament, the "Rod Paavola Memorial Tournament", is played between the Portage Lake Pioneers and the Calumet Wolverines Adult Hockey Teams. In 1985, Rod was inducted into the UP Sports Hall of Fame. In 2000, Rod was inducted into the US Hockey Hall of Fame as part of the 1960 USA Gold winning Olympic Team. In 2002, Rod received the Lester Patrick Award for outstanding service to hockey in the United States as part of the 1960 USA Gold winning Olympic Team; they are only the 3rd team in the 35 year history of the Award to receive this honor. Mario Paoli, born 19-- in -- a Hancock High School hockey player, played for the local Finlandia University Hockey Team 2002-.
need pic in uniform here! Jim Paull, born 1940 in Calumet and left here in 1959 for Wisconsin. He played hockey in local Calumet Junior leagues, CLK Radars in 1958 as well as Calumet HS football. Jim went on to be one of the original organizers of the SouthEastern Hockey Association of Wisconsin (SHAW) bringing organized youth hockey to the Milwaukee area. He was their first Director of Coaches and served on the SHAW Board of Directors for many years. He also coached SHAW teams at different levels for over 20 years and brought them four state championships at the top WAHA level: 1975 Bantams at DePere, 1977 PeeWees at Mosinee, 1985 High School at DePere and the 1985 Midgets at Eagle River. In his youth coaching days, his motto was "no player left behind" long before the President started his "no child left behind" motto. He then coached at Milwaukee Pius High School; they won the private school JV Championship in their second year. He also played for the Milwaukee Admirals two seasons 1970-72, the Milwaukee Wings 1974-77, was player coach of the Milwaukee Oaks in 1977 and finished as player coach of the Milwaukee Wings in 1978. He is an avid Red Wing fan and has an extensive memento collection of the team. 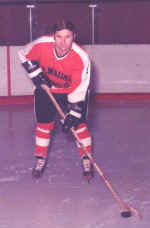 Jim was inducted into the Wisconsin Hockey Hall of Fame in 2003. Jim Paull, Roy Samela, Jarvey, Aho, Coach Lowney, Reijo Vuorinen. 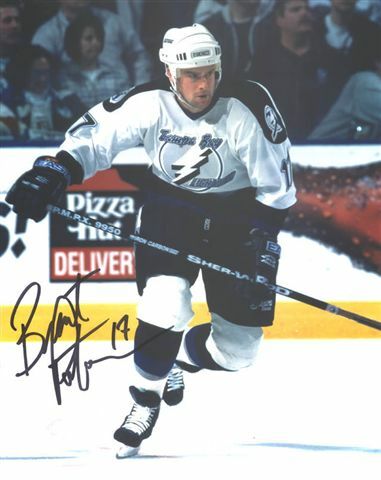 Brent Peterson, born 1972 in Calgary played for Michigan Tech 4 seasons 1991-95; in 1993 he was drafted by Tampa Bay Lightning whom he played with from 1996-99 along with other teams. 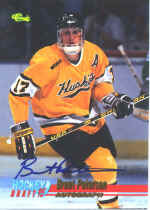 Since 1996, Brent has played pro hockey the last 4 years 2000-2004 with Kassel Huskies in Germany. He and his family now make their home here on Portage Lake. Doug Peterson, was born 1929 in nearby Atlantic Mine. 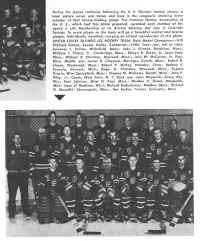 He played youth hockey on the Rugani Rangers 1945-46 and with the VFW Rangers the following year. He was a member of a Gibson Cup winning team on three different teams! 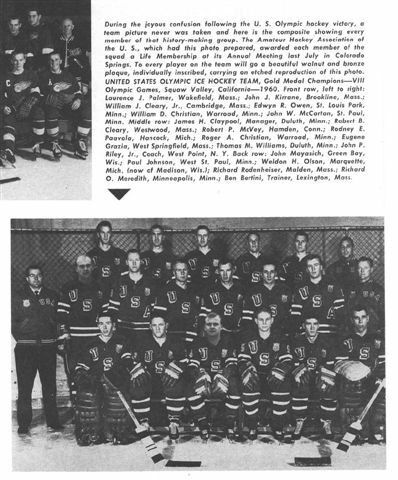 He was a member of the 1947-48 Portage Lake team that won the Gibson Cup, he then played hockey for Michigan Tech 1950-51 after his Freshman year with the team (Freshmen were not allowed to play in many League games.) Peterson then entered the Navy; on his return, he played with the Escanaba Hawks when they won the Gibson Cup 1953-54 season and with the Marquette Sentinels when they won the Gibson Cup in the 1955-56 season. He played with the Marquette team 1955-59 until he moved to the Chicago area. 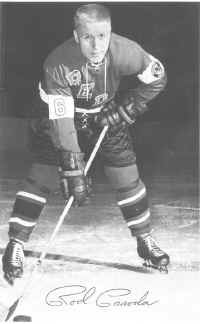 From 1960-69 he played with the Chicago Vikings in the Pullar dome arena with 4,000 seats and the Dundee Vikings at the Rainbow arena. 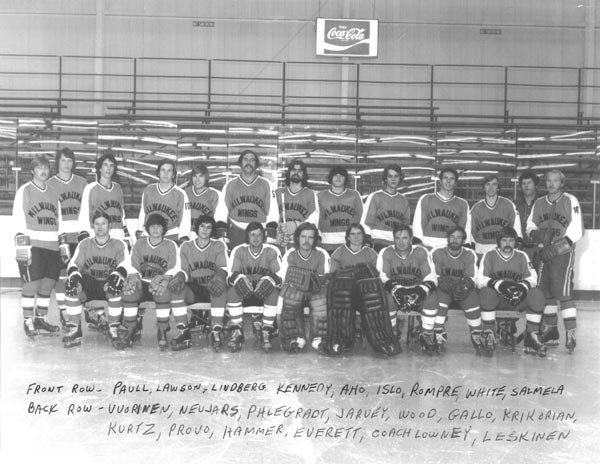 From 1970 to 1982, he coached the Chicago Cardinals in the Continental Hockey League including 1981-82 when they won the Walmer Cup Championship and one year the Kenosha Flyers, with 302 wins, 115 losses and 37 ties. They played National and International Exhibition Games in 1972 vs USA Olympic Team, 1973 vs Red Army of Dukla, Czeckoslovakia, 1981 vs Swedish Junior World Champions in Chicago. He was President of the League 1 year, and vice-president 3 years. 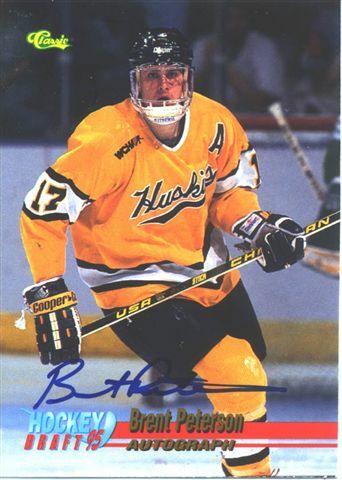 In the Chicago area, he was director of the Franklin Park Hockey School two years and Director of the Randhurst Arena Hockey School one year. 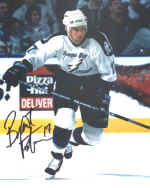 In addition to hockey, Doug also played in baseball and softball Leagues and was on the US Navy Swimming team in Pensacola for 2 years. He also coached football, swimming and baseball High School teams at Morton East High School, Cicero, Illinois; including 6 years as Head Varsity baseball coach winning the Illinois State HS Championship and HS Coach of the year in 1970. Doug and his wife spend their summers here in Atlantic Mine. The Russian Sports Institute in Moscow invited North American hockey coaches to a hockey conference to learn new hockey strategies. 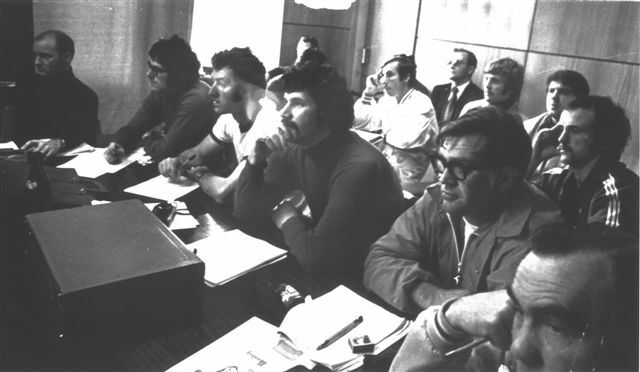 Doug Peterson in glasses and John MacInnes lower right. "Tiger" Darryl Pierce, born 1963 in Stettler, Alberta, he played for the Prince Albert Raiders, SJHL, 1981-82; he then played 3 years as goalie for Michigan Tech 1983-86. He has been active helping coach local youth and High School hockey and is the Superintendent of the local Calumet-Laurium-Keweenaw School System.